Former stage magician George Chance, by various twists of fate, becomes an eerie vigilante to help the police solve baffling, unique mysteries. He is aided by his loyal crew made up of former glamour girl Merry White; circus little man Tiny Tim Terry; former bookmaker and gambler Joe Harper; and Glenn Saunders, a novice magician who is his identical double. Created by writer G.T. Fleming-Roberts, the Green Ghost and his team battled all manner of villainy in some of the most macabre pulp adventures ever recorded. 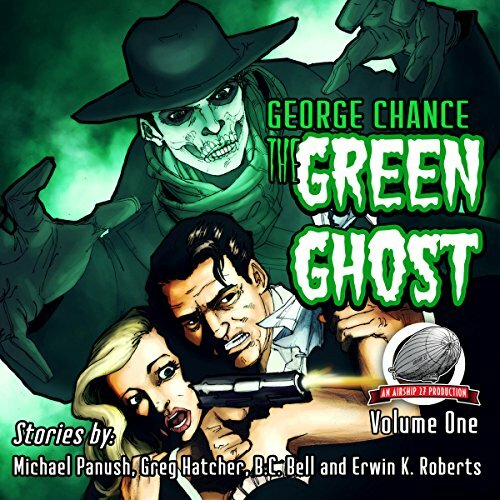 Now Chance and company are back in four brand-new tales as chronicled by a quartet of today's finest new pulp writers: Michael Panush, Greg Hatcher, B.C. Bell, and Erwin K. Roberts.